If you are getting ready to write a request for proposal (RFP) for a videoconferencing project, this blueprint will save you lots of time. 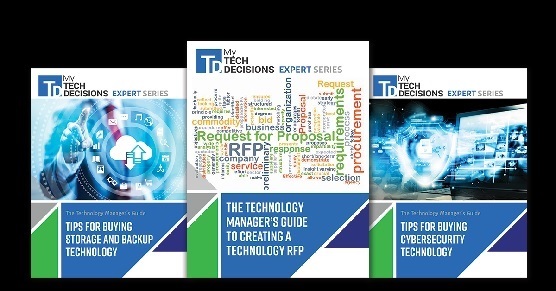 It includes an overview of the videoconferencing technology options as well as specific questions you should include in your RFP. Writing an RFP for a complex system such as videoconferencing involves a number of different types of technology including video, audio and codec. If you don’t ask for all of the most important information in your RFP, the proposals you ultimately receive will be tough to evaluate. One company may include lots of information about their recommended video technology but not even touch on how to ensure that all speakers in the room can be heard. Another might have a great audio solution but no details about how remote workers will collaborate on content during the meeting. Building a videoconferencing system involves a multiplicity of factors. These include the facility and environment, video and audio requirements as well as sources connected to the system for sharing and collaboration. As with any RFP, the more information that is provided, the better the end-result of the bid. The place to start in any video conferencing deployment, is to let the nature of the project dictate the technologies chosen. One size and type do not fit all. 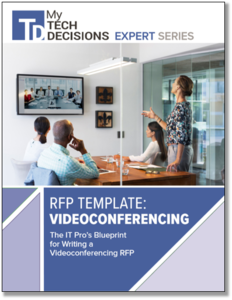 Our new download “RFP Template: Videoconferencing” provides a blueprint to help IT pros write a videoconferencing RFP.